In the UK, there is a famous and long-running radio show called Desert Island Discs. 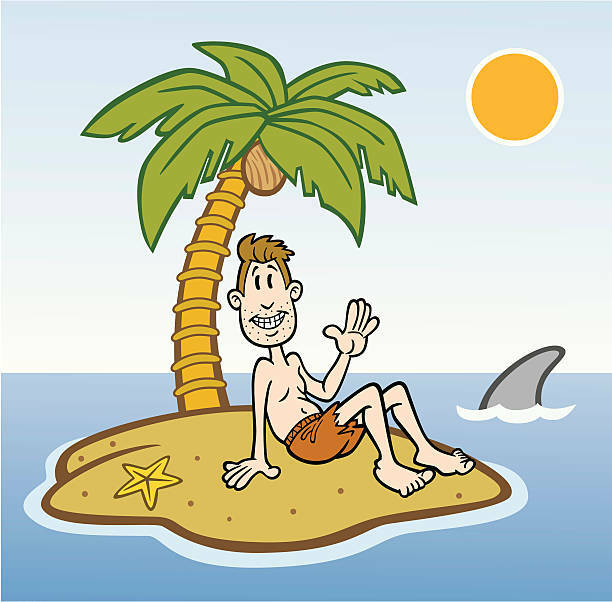 On this show celebrities are asked to imagine that they are marooned on a desert island, but they have rescued 10 discs (mp3s I suppose these days…) of songs that they have rescued from their sinking ship to keep them company on the desert island. My chum – marine mammal scientist and general ocean hero – Asha De Vos recently asked for a list of key papers in marine conservation that she could pass onto students working on marine conservation issues in Sri Lanka. So I decided to write up my top ten “desert island” marine conservation papers that I think have been influential, and that all marine conservation students should read. (1) Norse, E. & Crowder, L.B. 2005. Why marine conservation biology? In: Marine Conservation Biology (Ed. E. Norse & L.B. Crowder), pp. 1-18. Island Press, Washington. This is a great book chapter that describes the needs for marine conservation, and also the difficulties faced by those in this field. There are a lot more chapters in this book and really all of them could be on this list. Marine Conservation Biology really is the handbook for the marine conservation scientist or practitioner. (2) Stachowitsch, M. 2003. Research on intact marine ecosystems: a lost era. Marine Pollution Bulletin 46: 801-805. This is an interesting paper that described the eras of marine conservation, including the current era when all oceans are effectively degraded. (3) Kochin, B.F. & Levin, P.S. 2003. Lack of concern deepens the ocean’s problems. Nature 424: 723. This paper highlighted the fact that tributyltin (TBT) anti-fouling paints caused developmental and reproductive abnormalities in dog whelks. The paper eventually led to legislation being introduced that banned TBT use on boats in marinas. It’s a great example of where some sharp-eyed marine biologists tested their hypothesis about a threat, and eventually led to science-based policy making (and effectively saving the top predator of many rock shore environments and effectively that entire ecosystem). I include this one as I think marine diseases (probably helped by pollution-induced immune system suppression and climate change) is probably going to be THE next big threat to marine ecosystems. I include this book chapter as this, for me, was the paper that woke me up to the sheer scale of the problem of marine debris in the marine environment. There are lots of papers now on marine debris, and in particular marine microplastics, but this paper did rather launch many NGO campaigns about the issue. (7) Gewin, V. 2004. Troubled waters: the future of global fisheries. PLoS Biol. 2:422-427. I include this paper as it’s a good summary of many fishing-related issues (and open access). (8) Jackson, J.B., et al. 2001. Historical overfishing and the recent collapse of coastal ecosystems. Science 293:629-638. A good companion to this is: Roberts, C. 2001. An Unnatural History of the Sea. Island Press, Washington. (9) Chuenpagdee, R. et al. 2003. Shifting gears: assessing collateral impacts of fishing methods in US waters. Ecol. Environ. 1:517-524. This paper describes the type of incidental damage different types of fishing gear can inflict on the marine environment and, most importantly, they discuss some possible solutions and ideas to help deal with the issue. Talking of controversies, on the Desert Island Disks radio show* Louis Armstrong caused some controversy when he chose his own songs for the shown (for the episode click here). Musicians Elisabeth Schwarzkopf & Moura Lympany similarly, narcissisticly, also included their own works. So I’m going to use these precedents to gratuitously put one of my papers into the mix. (10) Parsons, E.C.M., Favaro, B. et al. 2014. Seventy-one important questions for the conservation of marine biodiversity. Conservation Biology 28: 1206-1214. This paper was the result of a several-year project where we got marine conservation scientists to give a list of marine conservation problems that desperately needed solving (via research). The list was thousands of problems long, but we whittled it down over several years to just 71 key problems. It was a great team effort (although not without its difficulties) and had we input from hundreds of marine scientists and conservationists. But most importantly, for Asha’s young marine conservation scientists, it might give them some ideas about research projects that they could undertake to fill in important gaps in our marine conservation knowledge. On the radio show you get to take the bible and a book – clearly Marine Conservation Biology by Elliot Norse & Larry Crowder as mentioned above. You also get to take a luxury item. I did think about a set of scuba gear as that item. The ability for scientists to observe marine species in their natural environment was revolutionary for marine scientists (and inspired many to become vocal about marine conservation). But a single set of scuba gear only helps one person. So I think I would choose one of the Southern Fried Science editor’s cheap-to-make and easy-to-use ROVs. That way you can send the ROV to explore the waters around a desert island, but you can make images of that undersea world available to the entire community, and hopefully inspire them to become involved in helping to protect the seas around them. Do you have any key or inspirational marine conservation articles that you would like to take on the desert island? Feel tree to post them in the comments section !